In the residential sector, lighting is used indoors and out to provide ambient light and meet task-specific lighting needs, for decorative purposes, and to provide security. Commercial lighting applications are more varied and include indoor ambient, task, and decorative lighting, street and area lighting, traffic signals, and sign and billboard lighting, among others. 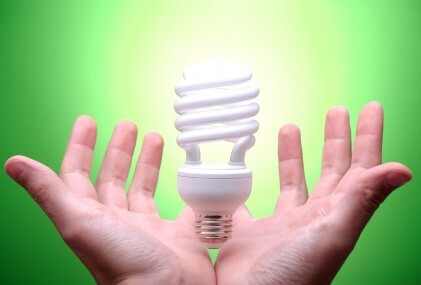 Compact fluorescent lamps are a well-established option for energy-efficient residential lighting. New solid-state lighting (i.e., LED) products are being introduced for residential applications and should join CFLs to provide high performance, energy-efficient alternatives to consumers as many traditional incandescent light sources are phased out of the market. In the commercial sector, advanced fluorescent and HID (high-intensity discharge) systems, join a growing variety of solid-state lighting products to offer energy savings in a broad range of products for the diverse set of commercial applications. Research, policies, and programs related to lighting can be found in the links below and to the right. For specific efficiency tips and guidance on residential lighting, click here.